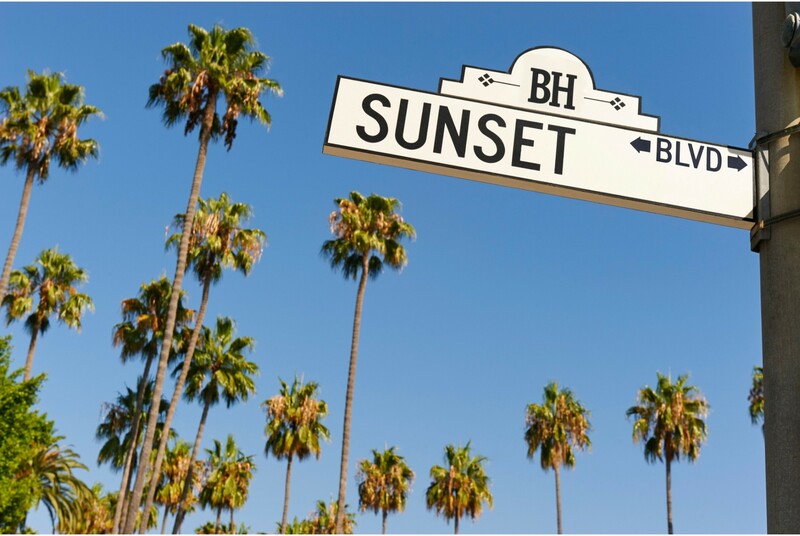 Perhaps the most well-known part of the Los Angeles Real Estate is the Hollywood Hills and Sunset Strip! It offers private canyon neighborhood living to exquisite Estates with explosive City, Mountain, and Ocean Views. The neighborhood above Sunset Blvd is one of Los Angeles’ most exclusive, home to entertainment executive, media moguls and celebrities alike. Today the Strip embraces a premier collection of boutiques, restaurants, rock clubs and nightclubs, as well as being home to various creative companies. Creative people from all over the city life and play here for its unique Hollywood vibe, dining, and shopping. The Hollywood Hills neighborhood is divided into many different areas, ranging from luxurious developments like “The Bird Streets”, Doheny Hills, Sunset Plaza, Mount Olympus, Laurel Canyon, and Outpost Estates, to smaller areas sometimes consisting of a few homes in a single canyon. The Sunset Strip is the name given to the mile and a half stretch of Sunset Blvd that passes through West Hollywood, as well as the exclusive enclave of homes located in the hills above Sunset Blvd. The secluded feel, breathtaking views, easy access to Beverly Hills, Hollywood, the Westside and the Valley, as well as the eclectic artist’s communities, ensure the Hollywood Hills will be a mainstay of the Los Angeles Real Estate market for years to come.